I am over the moon to be the first guest designer on the Lawn Fawnatics challenge blog, hosted by Lawn Fawn! The current challenge theme is “Summertime Fun”; and what says summer more than a bright warm sun and sandy beaches?! This flamingo was perfect to set my scene, and the palm trees from Critters From the Past stamp set were perfect accents for my sandy beach. 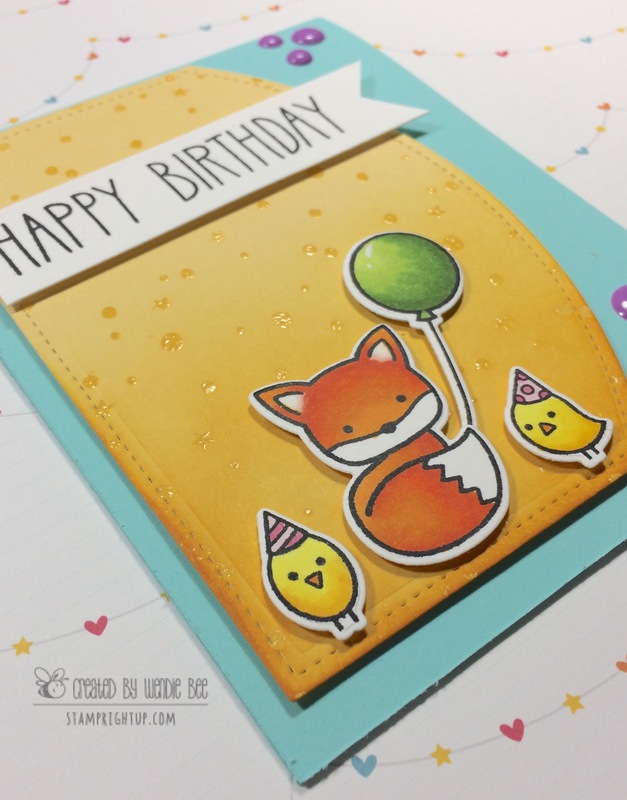 Challenge closes July 16th so be sure to hop on over to the challenge page & link your design for a chance to win a $25 gift certificate to the Lawn Fawn store! 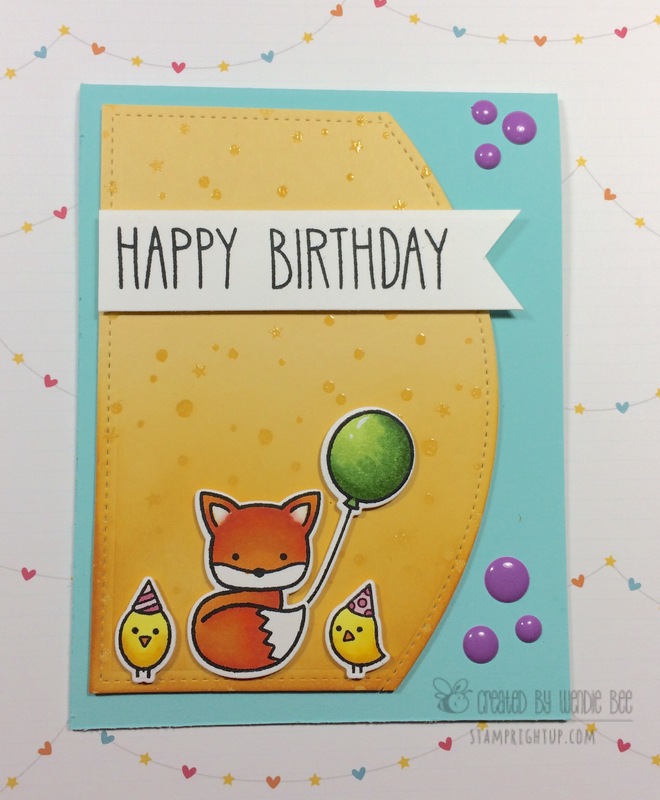 Simon Says Stamp monthly card kits are always fun, but as an avid crafter I find I already have a lot of the supplies in the kit, so I usually just order the kit items a la carte. Except October’s kit. I needed EVERYTHING in that kit!! From the Lawn Fawn Perfectly Plaid fall 6×6 paper, to the gorgeous audrey blue & burnt orange card stock, I needed it ALL!! I ordered the kit and had a blast re-creating the projects that the design team had created from the inspiration sheet that is included with the kit. This card however, I made on my own for my osteo path who has helped me tremendously! I am forever grateful to her and wanted to send her a thank you note to let her know. This card uses the audrey blue card stock for my base color to punch it up a bit and add some color to off set all the brown. I inked up my die cut Lawn Fawn stitched leaves with distress inks to give them a bit of dimension and really help the stitching pop as well. For the stitching detail around the card I used a dark brown marker rather than black – it tied everything together nicely and kept it a CAS card as I was intending. I loved how this card turned out, and the best part is it would be easy to mass produce if you needed a lot of thank you cards too. Thanks for stopping by & checking out my project – your comments & feedback are always welcome & appreciated! I have been really in to the shabby chic, ‘prettier’ cards lately. As you know, generally my style is more on the cutesy side, but I have been making an effort to diversify my skills and I have been trying out papers and collections that I have really loved. This Gilded Lily collection from Graphic 45 was no exception. I had the opportunity to create a gorgeous album with this collection at the CHA summer show in Chicago this past summer and I really loved how versatile the paper and chipboards are! I needed to make a birthday card for a co-worker and I knew she would appreciate something pretty – so I pulled out my Graphic 45 and leafed through the stack and decided on the two papers from the collection. Here is a list of supplies if you would like to make this card at home! Just comment below if you would like to have the measurements for this card & I will be happy to share that with you! I recently attended a class at my local craft store. I very rarely attend classes anymore, but I knew I just had to go when I saw that the new Kaisercraft Fairy dust collection was featured for this class. The talented Denise designed 4 gorgeous card for us, and when the class was over, we were left with scraps of paper to take home. I went home and immediately sat down and created 3 more 4bar notecards with the scraps! The paper in this Fairydust collection is just gorgeous, and is really, really easy to use. One of my challenges in crafting is using more patterned paper – and this collection has really gotten my creative juices flowing! I ordered 2 more full pads of the paper and the coordinating Collectables ephemera and have been going to town creating! There is a list of the supplies I used listed below for you to check out to see if any of these would make a nice addition to your craft stash. One thing that is great about this paper collection, is it’s 6.5″ square, a half inch bigger than a standard 6×6 stack! That means more paper to use & work with 😀 I can tell you I love this paper so much I bought two 6.5″ stacks!